We know WhatsApp is all about phone numbers. But given a choice, which option would you choose? Let’s face it – no one likes to chat with numbers! Putting names to numbers makes the conversations come alive . We often get added to groups with a lot of other people or get messages from unknown people and find ourselves chatting with numbers! On WhatsApp, saving those contacts to our phone is the only way to see their names and make the conversations humane. For those who prefer WhatsApp Web, there is no way to save numbers. Saving forces you to go back to your phone and fiddle with the small keyboard! This defeats the purpose of using WhatsApp Web from the comfort of your computer. 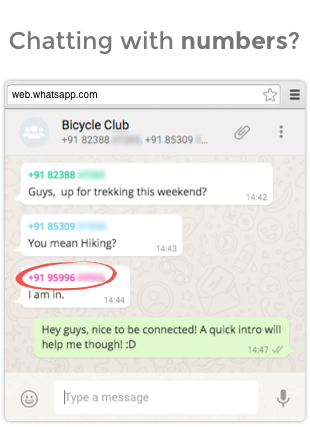 What if you could save numbers to your phone directly from WhatsApp Web? 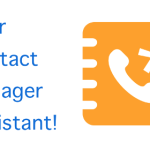 This will not only save you a ton of time, it will ensure your phone’s address-book is kept up-to-date! 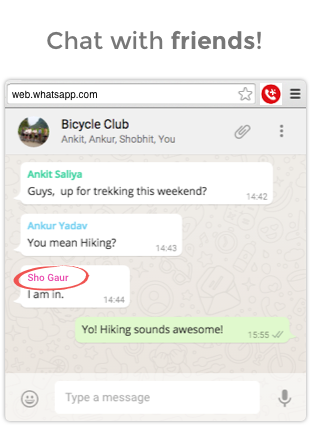 Introducing our new InTouchApp Chrome extension that lets you save contacts to your phone, without ever leaving WhatsApp Web! Say goodbye to unknown numbers and build your address-book accurately. Save unknown numbers from WhatsApp Web to your phone! 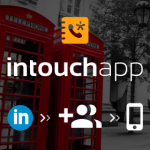 Install InTouchApp on your phone, if you don’t have it already! Now you are ready to save contacts to your phone without leaving the comfort of typing from your computer. Cheers to greater productivity! Write to us in the comments below if you have any suggestions, requests, questions or want to tell our engineering team how awesome they are for making this tool. 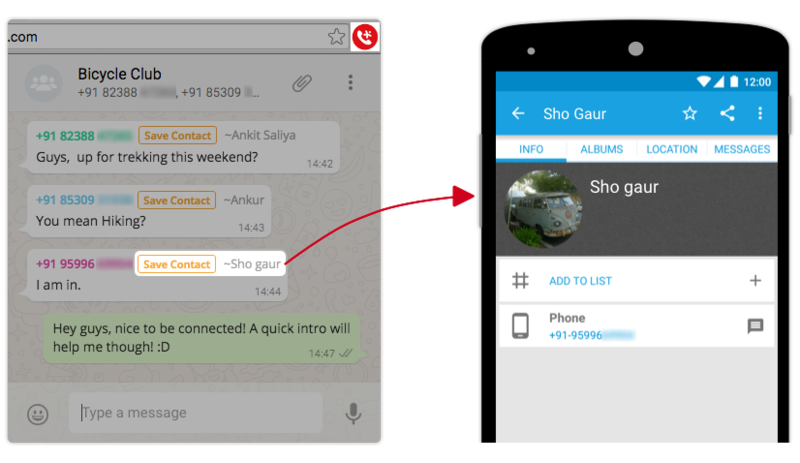 Introducing InTouchApp Sidekick – Now easily add contacts to your phone while you surf the net!